The very best road trips in Colorado are the ones that surprise you at every turn. Way out in western Colorado, almost to Utah, is a red rock realm of interlocking canyons, broad-backed mesas, and deep history that runs from the dinosaurs to Ancestral Puebloans to homesteading ranchers. 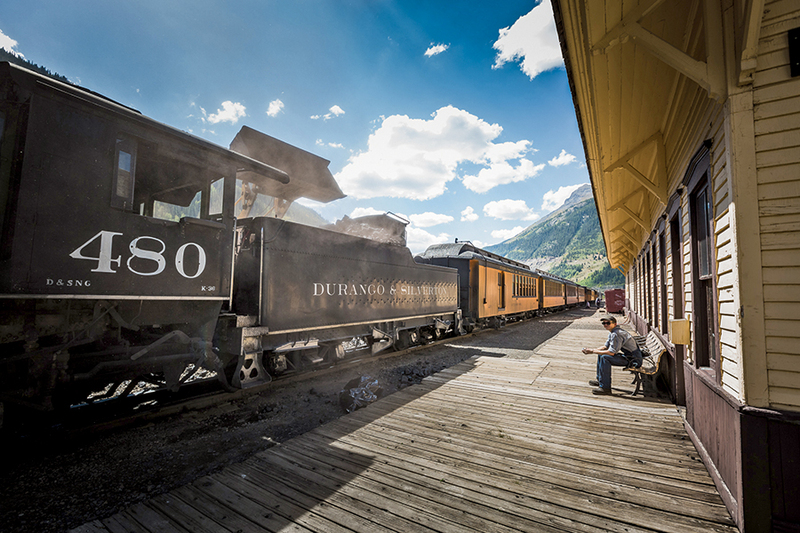 North of Four Corners and perched at the Rockies’ edge, many surprises await us on our three-day roadtrip. 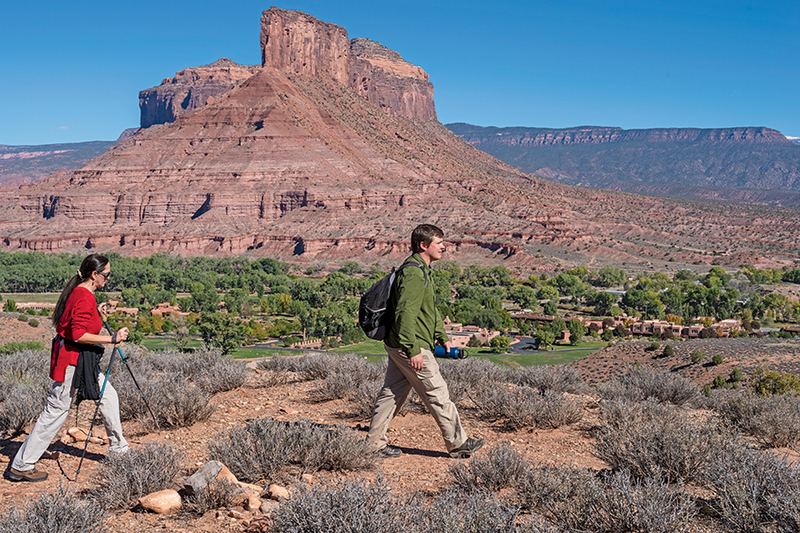 Our first hidden gem, Gateway Canyons, is an hour’s drive south of Grand Junction. Cruise south on scenic Highway 141, until you ascend and descend into Unaweep Canyon, reputedly the only watery canyon on the planet with two mouths. Two mouths—how can that be? Zebulon Miracle, the engaging naturalist-botanist-historian who leads educational tours for the AAA Four Diamond-rated Gateway Canyons Resort, my first stay on this long weekend jaunt, explains that geologic enigma for me. His genuine job is Curator of Curiosity, which might seem like a title from The Wizard of Oz, but he more than earns it by regaling us with the lore and legacy of this culturally endowed region, while on a vista hike above the resort. I suggest this as your first activity, to get your bearings. Zebulon, named after Zebulon Pike (Pikes Peak), leads free daily hikes on a network of easy-moderate trails, and his spirit and learning are infectious. He strips fibers from a yucca, describing how valuable this plant was and is, providing fruit, strong fiber to weave shoes and clothes, soap from its roots, even a stomach medicine. Zeb stoops low and scrapes a crumbly white coating from a prickly pear pad and extracts the cochineal. This insect produces a purplish dye (carmine), which colored royal Spanish robes, and was once second only in value to silver as an import from Mexico. I’d read of cochineal but had never seen it, and after today, I can recognize it myself. A small discovery, but one to remember. Walking the Wildflower Trail, we pass healthy crypto biotic soils as we ascend for a panoramic view, with the imposing Palisade dominating the eastern horizon. 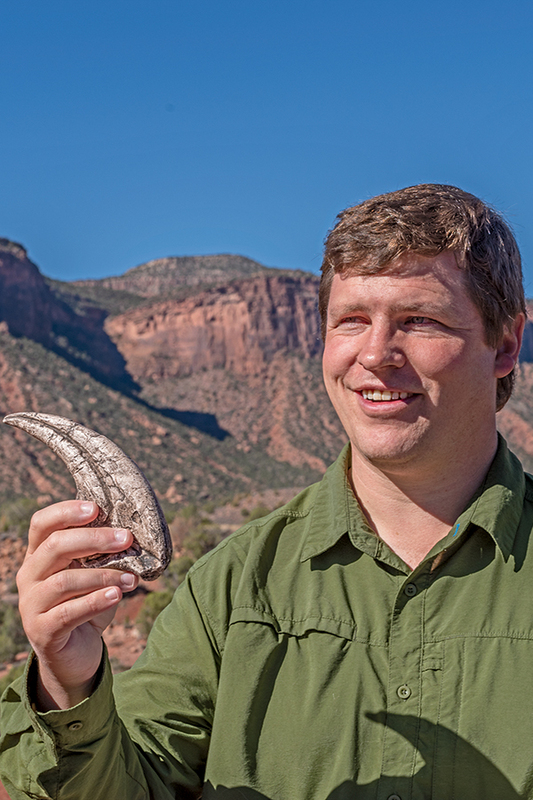 Zeb describes the fragile crypto biotic growths as the “glue that binds the desert together.” I’m intrigued by his insights and his genuine passion to share the web of history, geology, genealogy and life forms that make this region unique in the West. But the inspiration for the Gateway Canyons Resort, and the reason that Zeb and I were drawn here, belongs to John Hendricks. This restless entrepreneur founded the Discovery Channel, and when told by his film crews that their consensus choice for the most movingly beautiful region on Planet Earth was the American Southwest, he listened, and looked. Reading by chance an ad in the Wall Street Journal for a remote Colorado ranch, he flew above Gateway Canyons in a small plane and was entranced by the setting and the potential. Twenty-five years later we have a compelling AAA Four Diamond-rated experience just four miles from the Utah border, in pristine canyonlands just 5-6 hours’ drive from the Front Range. Set on 500 prime acres, at 4,600 feet elevation, the prevailing architectural theme is described by Zeb as Southwest meets Morocco. Zeb pauses for a breather on the trail, and slyly reveals a casting of a nasty claw from his backpack. “This is four inches of curved death,” Zeb says and calmly describes how and when Allosaurus, a T-Rex type, roamed these parts in search of prey. I counter with a lame Paleo joke, “Allosaurus doesn’t live here anymore?” which earns a head shake and a wry grin and the hike resumes. For those who want to see even more, Zeb leads Dino Track tours, Rock Art tours, and Dark Sky experiences, complete with a telescope to study the heavens. It’s tempting to chill out in the suites and casitas of the resort, but their menu of activities will surely draw you outdoors. Besides hiking, choose from UTV and Jeep guided tours, helicopter tours in their own chopper, mountain bikes and cruiser bikes for rent, horseback riding, a shooting range and archery range (with personal instruction and gear for both), fly-fishing in the mountains (access by helicopter), and, oh so tempting, their Driven Club, through which you can rent an off-road spec Jeep Wrangler, or muscle cars like the new hot Challenger, Camaro, Corvette or Mustang Shelby Cobra GT500, or drive upscale with their Porsche Carrera 911. With the sweet scenic highways surrounding Gateway Canyons, this is incredibly tempting. After our couple’s ride, a Couple’s Massage at the Gateway Canyons Spa awaited us. I wasn’t saddle-sore, but my partner needed that deep-tissue full body therapy and swears it’s the best massage she’s had in years—50 minutes of bliss, with Turquoise Sage oils for her, and Coconut Kukui for me. Because the Gateway Canyons Resort is a full hour from the big city of Grand Junction, they offer superlative dining at several onsite restaurants. Entrada leads as the high-end dining experience, but I found the Paradox Grill to be equally fulfilling, and their Truffle Caesar Salad with Blackened Salmon was so satisfying that I had it twice during my too-short stay. I tried to talk them out of their Butternut Squash Soup recipe but failed. One more legacy from John Hendricks is his love for and superb taste in American automobiles, from his 1906 Cadillac to present-day Mustangs. 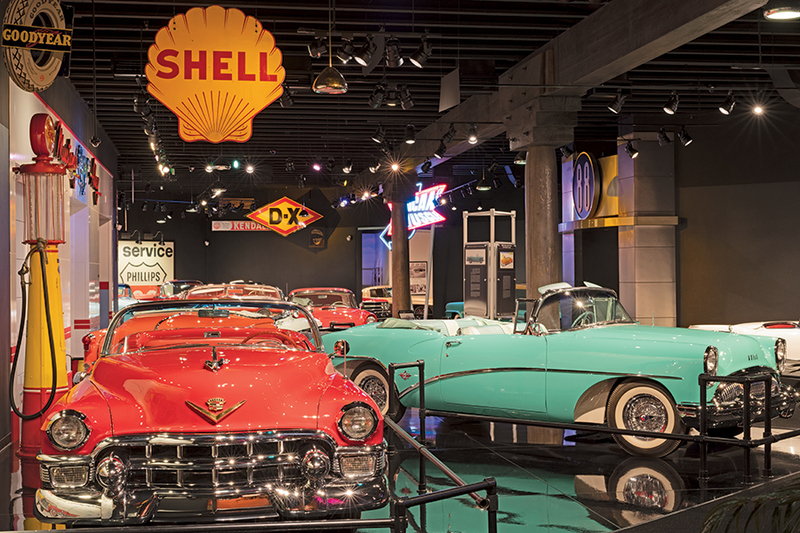 Free to guests, the Gateway Canyons Auto Museum is world class, from their 52 treasured cars to the smart and insightful exhibits. I didn’t allow nearly enough time to wander and worship these icons, Art in the form of steel and glass, rubber and paint, celebrating design and the times in which they were created. Duesenberg, Auburn, Pierce-Arrow, Cord and Packard etc., are marques that car lovers cherish but rarely see, and the gem of the collection, the 1954 Oldsmobile F-88 concept car, is the Mona Lisa of the genre, and at $3.24 million, it should be. High season for Gateways Canyons Resort runs from spring break through October, but special offers make the “off season” very attractive, especially for Coloradans. As we drive south on 141, winding beside the Dolores River, I recall Zeb’s insight that Gateway Canyons is “Moab, without the crowds.” Now I truly appreciate his words, and find myself agreeing. Knowing that it’ll be impossible to top the Gateway mix of experiences and culture, we meander south to feed my deepening interest in Southwestern history. On a misty rain-veiled afternoon, we check into the Retro Inn in Cortez, as a double rainbow hangs over the restored period motor lodge, complete with a seated Elvis art statue, awaiting guests out front. We check into the 1978 room, chuckling at my recollections of passing through Cortez that very same year, but times and the town have changed for the better. Colorado’s slice of the storied Four Corners is the wettest, richest and most verdant piece of the pie, compared to our hotter and drier neighbors, Arizona, New Mexico and Utah. Being higher in elevation means more rain, and the loess soils of the Montezuma Valley have nourished humans since pre-history. Indeed, that may be the primary reason the early Basketmaker III peoples gave up their nomadic ways. About an hour west from Cortez is Hovenweep National Monument, a high desert collection of towers and ‘castles’ built by the Ancestral Puebloans from A.D. 1200-1300. Built with evident skill and care, these structures have defied countless storms over the intervening centuries, but to me their beauty is magnified by the quiet one can find here. Mesa Verde is impressive, but crowds can be a distraction, and Hovenweep is never crowded. We arrived an hour before sunset and walked the 1.5-mile easy loop trail around Little Ruin Canyon, with clear lines of sight to Ute Mountain. 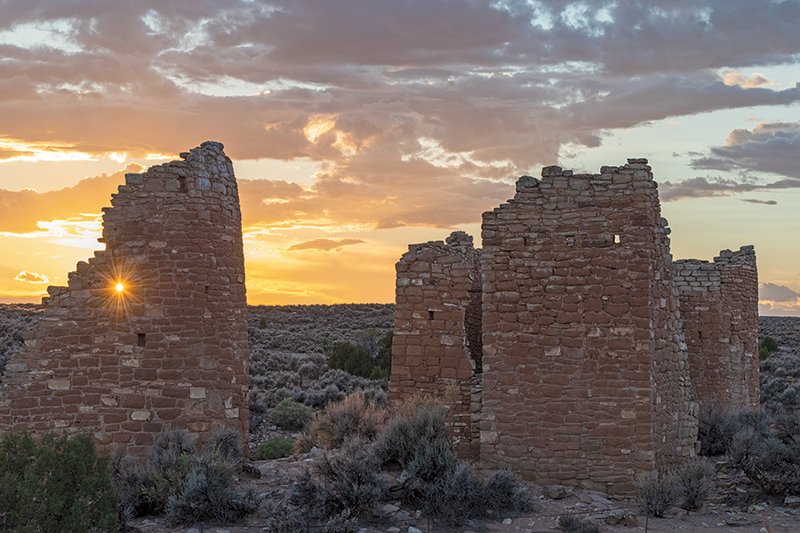 The sun burst through the clearing rain clouds, painting Hovenweep Castle and Stronghold House in yellow, orange and finally pink hues, and I wondered how many Puebloan families watched this very same spectacle, seven or eight centuries back in time? The trail closes as sunset, so we motored back to Cortez in time to have a late feast at the Farm Bistro. Their Moroccan Style Lamb Meatballs were savory yet not overpowering, and the pairing with a white wine from Crested Butte was excellent. 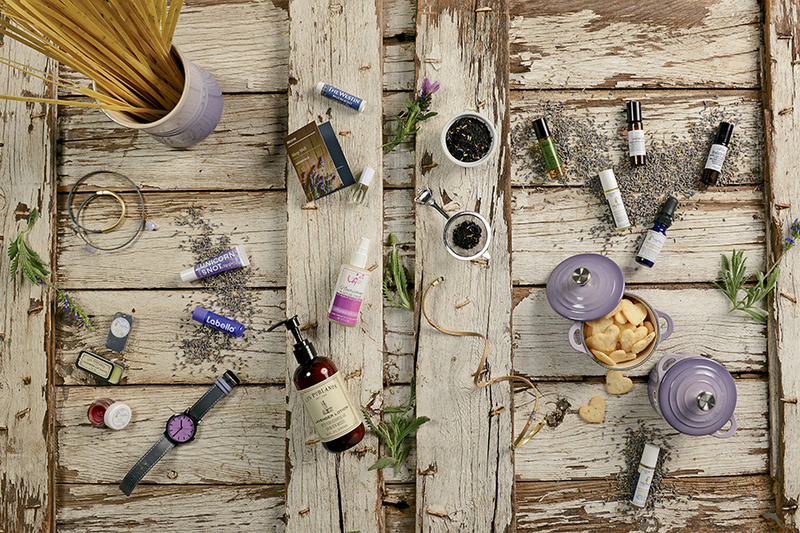 It was a perfect setup for the morrow, and the much-anticipated Farm & Ranch Tour. If you have any interest in where your food comes from and would like to meet real farmers and taste what they grow, sign up for the Farm & Ranch Tour through the Cortez Cultural Center. Now that might sound dry, but it sure held our attention and soon our hunger was satisfied by a lunch of locally raised pinto beans and cornbread, plus hot home-baked bread and cinnamon rolls made by Brian’s wife Kaylyn. After today I do realize that, after seeing the balancing act of planting, irrigating, and harvesting the crops, maintaining the plethora of machinery needed, plus being an accountant. “Farming is a way of life,” Brian said, and for the Wilsons, it’s a family pursuit that bonds them together. Sitting at the Wilson’s home, with a panoramic view of the San Juan’s to the east, I feel I’ve come full circle in my exploration of red rock country. I’ve walked and ridden and experienced the trails and canyons that once felt the tread of Ancestral Puebloans and cowboys, tasted the fruits of the land and shared the stories and insights of those who live here today, caring for the country and living their Colorado lifestyle. Watch your inbox for more things to do in Red Rock County in the next EnCompass Exclusive e-newsletter—a monthly email that provides exclusive content you won’t find in the print edition. 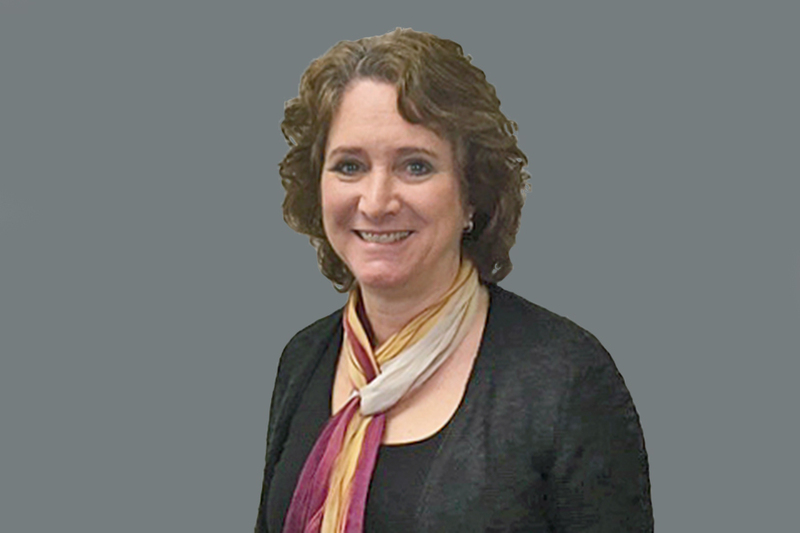 Plus, keep an eye out for the next series of “Three Days In” in the March-April 2019 edition of EnCompass. Kerrick James is a frequent contributor to EnCompass, and a global expert on travel photography. Our expert recommendations on how to best plan for your next road trip. 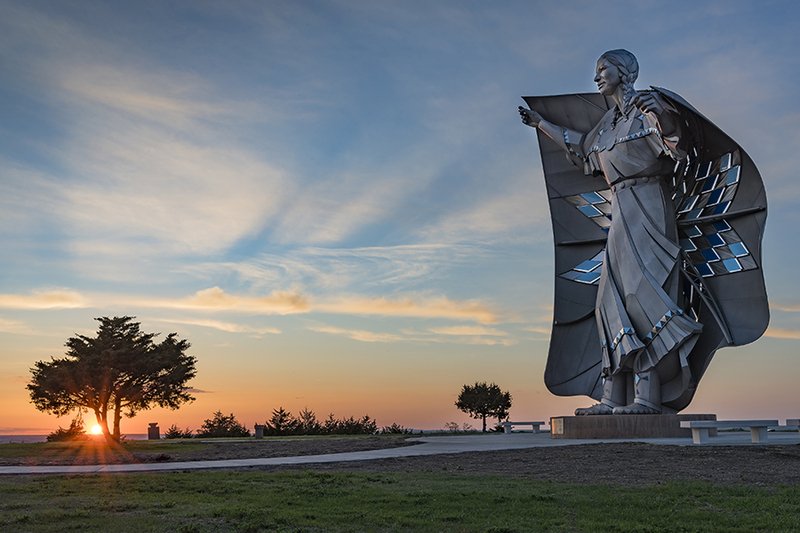 Immerse yourself in the Lakota culture along South Dakota’s segment of the Lewis & Clark Trail.